July 3, 1899. "U.S.S. 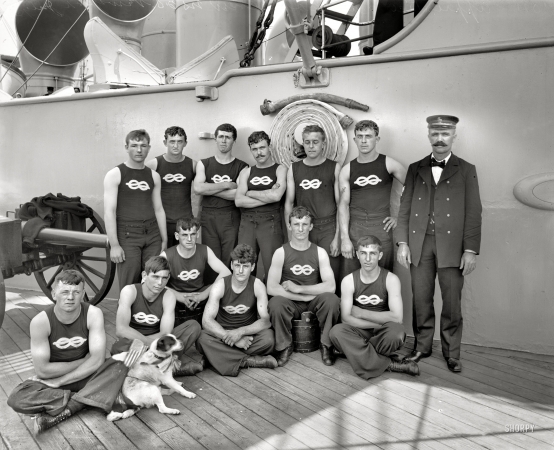 New York, apprentice boat crew, anniversary of Battle of Santiago."